Hancock, NH - On November 19, 2018 Bill Eva passed away suddenly doing what he loved, working on his family farm. Bill was born at the Peterborough Hospital on September 5, 1936. He was the son of Adella (Canterbury) and William James “Jimmy” Eva of Hancock, NH. A Hancock native, Bill's early days instilled in him his love of nature, being outdoors, responsible hunting and fishing, maple sugaring and deep family values. Bill grew up on the family farm until, during World War II, his family moved onto Main Street to run the Hancock telephone office. Bill attended the Hancock Grammar School and Hancock High School. He was an excellent student who also played on the Hancock HS Men’s Basketball Team. Bill finished high school at the Woodstock Country School (Woodstock, VT). In the Summer of 1953, Bill had a life-changing blind date with Carol Benedict (of NJ) who was visiting the area. The next two years, Bill and Carol dated, and they both attended Oberlin College. They were married in 1957 and started their lifelong adventure together. That same year, Bill transferred to UNH to complete his General Physical Sciences degree in 1959. During college, Bill attended AFROTC and, on December 7, 1959, was commissioned as a Second Lieutenant in the US Air Force. First stationed at Lackland AF Base, Bill completed all studies and certifications to become a T-28 pilot and was transitioning into T-33 jets, but instead accepted the challenge to work with the emerging Atlas missile technology and program. Professionally, Bill became a Missileer, but he always loved flying and enjoyed piloting planes on his own time. During his twenty-one-year military career, Bill was stationed in Texas, Missouri, Alabama, Wyoming, North Dakota, Nebraska and Germany. He easily adapted to and mastered the quickly-emerging technologies in the Atlas missile program. His contributions were significant enough that, while on a hunting trip, a ranger was sent to find and return him to duty as international tensions were escalating into the Cuban Missile Crisis. Bill’s extensive knowledge and teaching abilities led him to become a missile technology trainer, then into computer programming, and ultimately computer management in the Strategic Air Command. Over his career, he attained the rank of Lieutenant Colonel. While Bill excelled at his duties and assignments, he was credited with the unique ability to treat everyone with ease from enlisted to general. After retirement in 1980, Bill enjoyed traveling the country to reunions with other Missileers. Bill and his wife Carol have three children – Dale, Deb and Don. Bill was a devoted, loving father who fostered his love of the outdoors, the importance of education, the ability to work hard, his strong personal values, open-mindedness and humility in his children. Bill’s career took them many different places where they had countless adventures including skiing, hiking, hunting, and fishing. In the 1970s, with his son Dale, he established Boy Scout Troop #499 in Bellevue, Nebraska. As a devoted family man, Bill found his latest and greatest joy in his great-grandchildren. When Bill retired, he and his family returned to Hancock and the family farm on Longview Road. Bill returned to UNH for two years to study forestry. He established and successfully developed Longview Forest Products, a woodcutting, logging, Christmas tree business, best known as a maple syrup producer and product supplier. Bill’s passion for maple sugaring led to his involvement in many organizations. He was the past President of the NH Maple Producers Association; the NH Delegate for the International Maple Producers Institute, and a Representative to the North American Maple Syrup Council. Bill also was on the Board of Directors for the NH Maple Museum. Annually, he hosted the Hancock Elementary School student visit during maple season. Bill would gladly talk with anyone interested in maple sugaring. 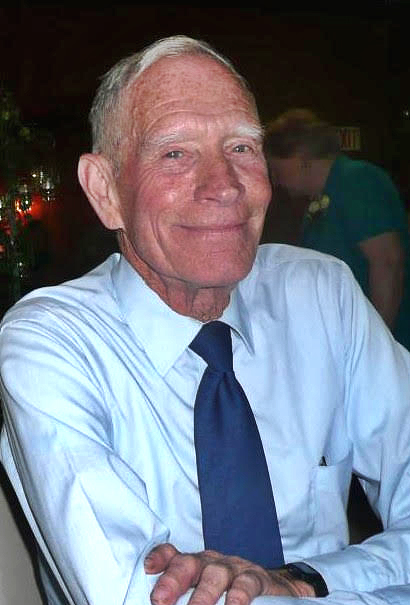 During his life, Bill was dedicated to his community. When anybody needed anything, he stepped up to help quietly without any expectation of acknowledgment, helping countless folks stranded with car problems, neighbors with fallen trees, and anyone he could help. Modest and humble, most never knew that Bill danced with Eleanor Roosevelt or was friendly with Pete Seeger. Instead, they knew him as a great listener and an open-minded, accepting person who could fix almost anything and who could operate a backhoe and other equipment with near surgical precision. Always community-minded, as a fourteen-year-old boy, Bill worked as a firefighter. Many years later as a senior citizen, Bill returned to his roots when he joined the Hancock Fire Department to “just help direct traffic.” Bill then earned his CDL license, first-aid certification, basic EMT certification and rose to the rank of Captain. He was an active sixteen-year member of the department. He was also a lifelong blood donor donating several hundred pints over the years. Bill is survived by his wife, Carol (Benedict) Eva; his children, William “Dale” Eva, Jr (Boulder, CO), Debra (Eva) Thompson and husband Mark Thompson (Hancock, NH), Donald Paul Eva and wife Gayla (Hughgill) Eva (Lyndeborough, NH); grandchildren Spencer Thompson and wife Katy (O'Brien) Thompson, and Ryan Leigh Thompson; great-grandchildren Madelynn and Noah Thompson; sister Barbara (Eva) Caverly and her daughters Brenda, Beverly and Belinda; numerous cousins, nephews and nieces. Bill is predeceased by his parents Adella and William James Eva; “Aunt” Catherine “Kay” Moore (cousin); and brother-in-law Ralph Caverly. Memorial Visiting Hours will be held on Saturday, December 1, 2018 from 1:00pm to 4:00pm at the Hancock Fire Station, NH Route 137, Hancock, NH. Known for his kindness, honesty and humility and for his community commitment, in lieu of flowers, Bill would be pleased if you donated to the Hancock Fire Department (or local department), or if you donated blood or contributed in any positive way to your community.